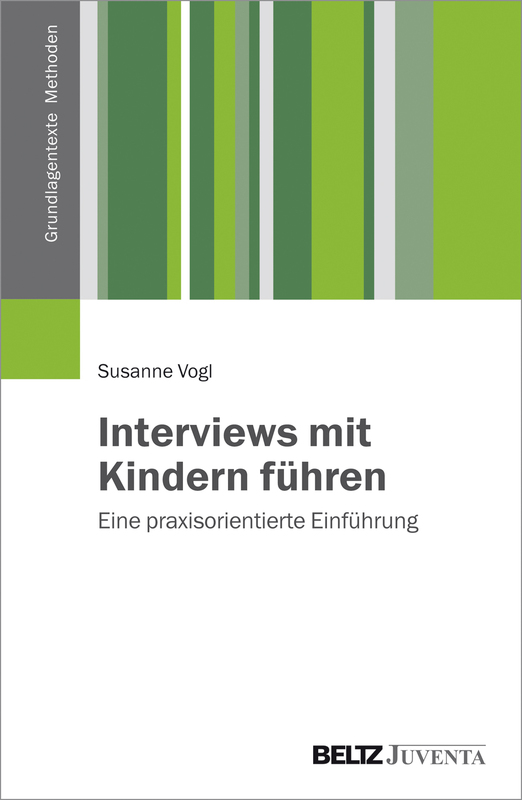 In Autumn 2015 Beltz Juventa published the book "Interviews mit Kindern führen: Eine praxisorientierte Einführung" (Conduciting Interviews with Children: A Parctical Guide). The book offers a practical introduction to planing and conducting interviews and focus groups with children. From a multidisiplinary perspective, I outline verbal, cognitive and interactive skills of children and their development. I introduce methodological foundations of interview and focus group research and implications for researching children. The objective is to convey knowledge on prerequisites for interviews with children in order to make informed decisions during all phases of an empircal research project.